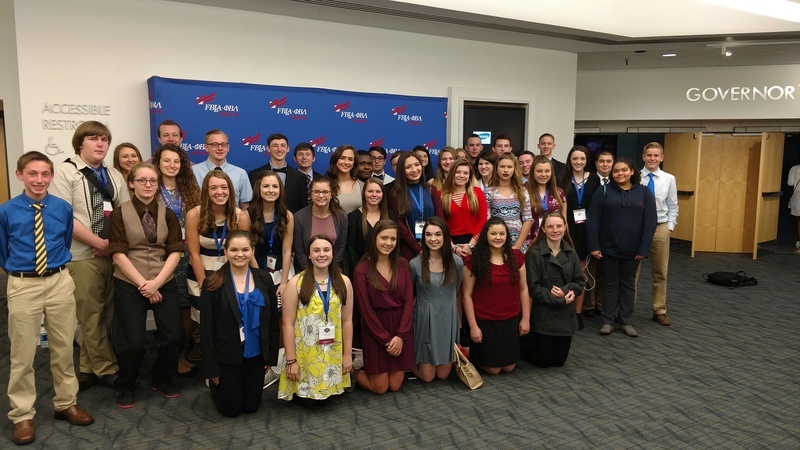 Forty Future Business Leaders of America students represented Sheridan High School at the Arkansas Future Business Leaders of America Leadership Conference held April 3 - 4 at the Statehouse Convention Center in Little Rock. Of the 40 SHS students who attended, 10 qualified to compete at the National Leadership Conference this summer in Anaheim, CA. According to Clark, the 2017-18 school year has been a great year for Sheridan’s FBLA. “We had more than twice as many SHS students qualify for nationals this year than we had last year. FBLA has a bright future ahead, and I look forward to our students’ continued success!" The students are excited to compete at the national conference in Anaheim and appreciate the experience their participation in FBLA has provided them. FBLA is a vocational student organization for students interested in business or business education careers. By participating in FBLA and its leadership conferences, students develop leadership skills, business competencies and self-confidence while learning how to better contribute to their communities. “It [FBLA] has opened so many doors for me already, and I look forward to representing my chapter and state at the national level in Anaheim this summer," said Sheranda White, a sophomore who is completing her first year in FBLA. Grant Dawson, SHS FBLA Vice-President, said he is looking forward to making new connections at the national conference. “It's a wonderful opportunity to learn something new and step outside of my comfort zone," he said.